Canadians have a stable economy and are super nice. 3 cities of Canada have joined the list of world’s most reputable cities by topping the Global Reputation Survey for the 5th year in a row. According to the survey, Toronto is the 2nd best city in the world. However, even other cities of Canada are earning top marks with Vancouver placed in the 14th position and Montreal at 18th in the Global Reputation Survey. The primary factors in deciding the reputation of each of the 100 cities in the survey were the environmental appeal (experiences available, beauty), the advancement of the economy and effective government (transportation, economic, social, environment). The rankings were composed by a global organization that tracks and manages reputations for governments and corporations - the Reputation Institute. The economically-powerful western world consists of most of the highly reputable cities while developing economies house middle-zone and lower reputation cities. Baghdad and Tehran are the two cities with worst reputations. The rankings coincide well with the other study of the organization on the reputations of whole countries. 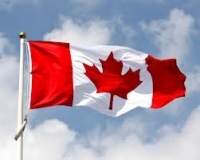 According to the study, world’s most reputable country is Canada, closely followed by the customarily high-ranking countries like Switzerland, Sweden, Australia and Norway. Coming in at 22nd place just ahead of Peru and Thailand and behind Brazil and Singapore, the United States is notably low on the reputation scale. The guidelines used for country reputation were similar to that of city reputation guidelines. The authors of the Study noted that according to the analysis carried out by Reputation Institute, there is a clear demonstrated correlation between the income received from tourism and the reputation of a country.